More than 150,000 people are Aqua credit card holders today. The credit card company, which was founded in 2002, offers its services to applicants irrespective of their financial situation. Owing to this generosity on the part of Aqua, it is the ideal credit card service for entrepreneurs and homemakers who cannot prove that they have a regular income, part-time and low income workers, people who are at a new address, those who have not been entered into the electoral roll, people who settled down in the UK recently and people with a poor credit history. The Bank of Scotland issues the Aqua credit card, which is managed and underwritten by SAV Credit Ltd., owing to which you can rest assured of excellent customer care service and 100 percent protection. You need to be a resident of the UK and must have completed 18 years of age in order to become an Aqua credit card holder. Since Aqua feels that everybody is entitled to his/her financial freedom, it offers credit cards that enable people to purchase products and services online, get great deals, pay their bills and gain quick access to their cash, irrespective of their location. As an Aqua credit card holder, you can request a maximum credit limit of £2,200, monthly payments that you can afford, interest-free purchases provided you pay your bills by the due date, facility to change payment dates for a maximum of 3 times every year, access to useful insurance products to help you in case of major life changes and topnotch security. The Aqua MasterCard is accepted at over 24 million locations and 600,000 cash points all over the world. 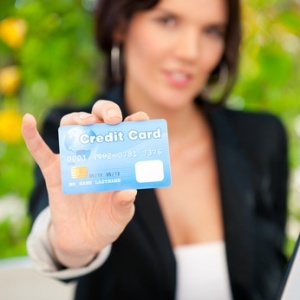 What’s more, you can also use your Aqua credit card to build an excellent credit score. Aqua credit cards have been of great help to more than 150,000 card holders across the UK. A good credit score and a flawless credit history are of great importance to people who apply for credit cards. Whenever consumers apply for a credit card, the credit card company checks their credit reports at credit reference agencies to find out if their credit histories have any flaws in a bid to ascertain if it is safe to do business with them. The habit of making late payments or avoiding making payments lead to a bad credit report and a bad credit scores. Credit card services also hesitate to approve the applications of people without any known credit history. Holding an Aqua card can change all this in just six months. You only have to be a responsible Aqua credit card holder, pay your bills within the due date and stick to the credit limit approved to you. Aqua also teaches you how to check your credit report and your credit history stored at credit reference agencies so that you can understand why credit card services refuse to raise your credit limit and why you must maintain a good credit score.